The Traveling Man tells his story!! : exercise for people over 50! With a 5-lb potato bag in each hand, extend your arms straight out from your sides and hold them there as long as you can. Try to reach a full minute, and then relax. Each day you’ll find that you can hold this position for just a bit longer. After a couple of weeks, move up to 10-lb potato bags. Then try 50-lb potato bags and then eventually try to get to where you can lift a 100-lb potato bag in each hand and hold your arms straight for more than a full minute. Help!!!! Please read all the way down. While I always agree that hunting is an ethical God given right, I think that I would have to agree with the author on this one…. 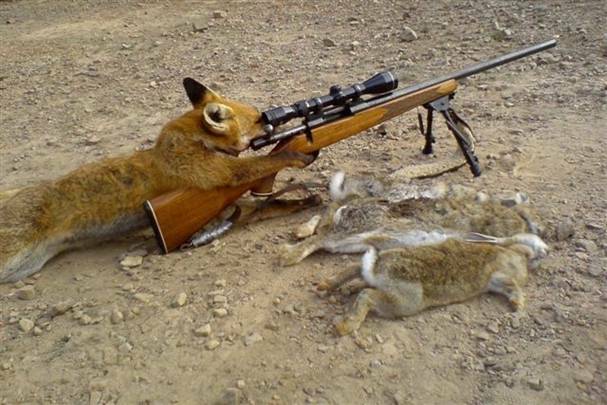 fox hunting should be banned! Please help ban fox hunting in Texas! I was in the restaurant yesterday when I suddenly realized I desperately needed to pass gas. The music was really, really loud, so I timed my gas with the beat of the music. After a couple of songs, I started to feel better. I finished my coffee, and noticed that everybody was staring at me….